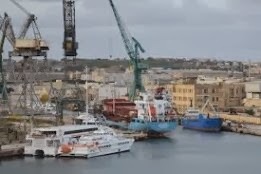 Ship & Bunker 18/02/2014: The government of Malta is moving forward with plans to redevelop a former shipyard into a maritime hub offering bunkering facilities and other services, the Malta Independent reports. The site, a 175,000 cubic meter parcel at Marsa, would host refuelling, ship repairs, maritime insurance offices, and shipbuilding, Economic Affairs Minister Chris Cardona told Parliament Monday. The government has received 45 expressions of interest from parties that would like to help develop parts or all of the hub, the...read on.